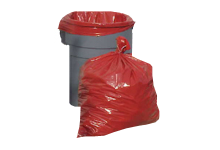 Poly Bag Central offers a convenient bundle of products for palletizing – including 161 stock sizes of Made in the USA Sheeting, Pallet Top Covers and Bin Liners. Stock items ship within 24 hours. For sizes not listed, call us for a custom quote. 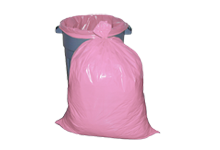 Our Palletizing Products are engineered to provide three times the impact and twice the tensile strength of traditional low-density polyethylene products. This resin meets FDA and USDA specifications. Our Palletizing Products include:l.
Pallet Top Sheeting: Available in Clear and White and comes perforated on rolls. The roll width is ½ the finished width (center folded). They are available in 1 mil, 1.25 mil, 1.5 mil and 2 mil gauges. Numerous common sizes are available. 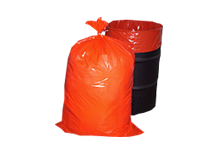 You will also find them useful as drop cloths or dust covers. 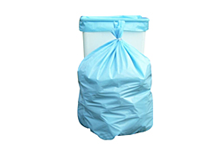 Bin & Gaylord Liners: These liner/covers work perfectly as a bin liner, pallet cover or dust cover. With over 120 sizes in stock and ready to ship, available in 2 mil, 3 mil and 4 mil gauges, you’re sure to find just the right fit. Hint: When using as a cover, add 1-2 inches to the width and depth and for the length, add the pallet/container height + ½ the pallet depth.